Viscosity is a robust and reliable OpenVPN client for Windows that offers you an intuitive UI for managing virtual private network connections. The network monitoring software allows you to create, edit, and control VPN connections. You can securely connect to your home or business network from a remote location with the help of Viscosity and OpenVPN. The networking tool helps you protect your network traffic while using public or wireless networks. You need to create at least one connection before being on the safe side. It can be easily done from the Preferences window. Plus, you are not limited to a single window. You may need to create a connection manually if neither of the import methods provides you help. Viscosity’s full version enables you to set authentication, networking or proxy options. There are various SSL/TLS clients which can be used for authentication. You can also opt for a username and password check for increased security. You can keep your data safe by transferring all your personal data over a VPN connection. Just specify a default gateway, DNS details, with the possibility to include fragment and shaper. Furthermore, the monitoring tool for PC doesn’t limit you to a single connection only. Viscosity for Windows lets you organize more entries in a folder for a better view. The program requires you to manually connect to a created service by default, but this can be solved by an option that automates the process. 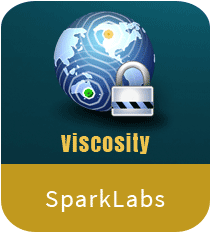 Download Viscosity today to keep your network safe. Viscosity is an efficient network tool for Windows that enables you to create a secure channel through which you can safely access the Internet. The application helps you safeguard your home or company network by creating a remote and secure connection. This way, your network traffic is completely safe while using wireless or public networks. Overall, the utility is quite useful to many individuals and businesses by serving as a suitable means of data transfer without exposing it to web attacks and hacks. Give it a try to see what it’s really capable of!